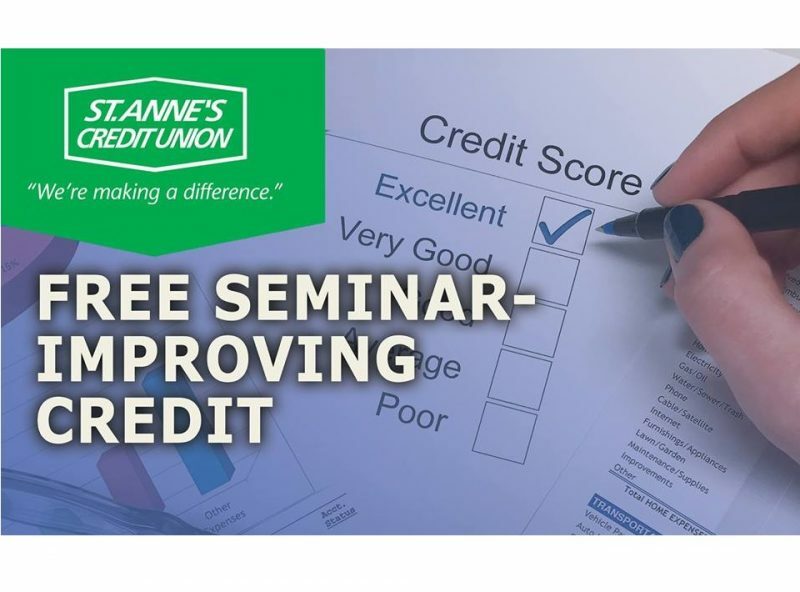 St. Anne’s Credit Union is holding a free seminar to improve your credit and you could walk away with some free stuff in the process. Whether you’re buying a home, a car, or applying for a credit card, lenders want to know the risk they’re taking on by lending you money. Knowing your credit score will put you at an advantage by preparing you with a rating of your creditworthiness, but if your score is lower than you thought, finding approval with favorable rates and terms will be challenging. Improving your credit will require patience and discipline, but by implementing smart credit practices into your financial behavior, you’ll start to see a more positive credit history and score. -Receive best practices on how to maintain your credit score to boost your financial health. The seminar will be taking place Thursday, September 27 from 5 PM – 6 PM at Bishop Connolly High School at 373 Elsbree Street in Fall River. Light refreshments will be served and all attendees will be entered into a drawing for a gift card (one entry per person and must be present to win). You will also receive a Free Credit Kit.